Once a nuclear weapon hits the USA its Katy Bar the Door. The Dog of War are loose. For instance, the F-35A is well-suited to loiter over an area and provide fire support to units on the ground in a close-in fight. &nbsp;In order to execute these kinds of missions, the F-35 will have a 25mm Gatling Gun mounted on top of the aircraft operational by 2017." data-reactid="24">For instance, the F-35A is well-suited to loiter over an area and provide fire support to units on the ground in a close-in fight. In order to execute these kinds of missions, the F-35 will have a 25mm Gatling Gun mounted on top of the aircraft operational by 2017. The F-35 has 11 weapons stations, which includes seven external weapons stations for bombs or fuel." data-reactid="25">The F-35 has 11 weapons stations, which includes seven external weapons stations for bombs or fuel. “If we don’t need stealth, I can load this up with weapons and be a bomb truck,” Canterbury explained." data-reactid="26">“If we don’t need stealth, I can load this up with weapons and be a bomb truck,” Canterbury explained. Eventually, the Air Force plans to acquire more than 1,700 F-35As." Eventually, the Air Force plans to acquire more than 1,700 F-35As. The Air Force plans to reach operational status with software Block 3i this year. Full operational capability will come with Block 3F, service officials said. The first operational F-35A fighters have already been delivered to Hill Air Force Base in Utah, and Air Force leaders say the service has launched some small mini-deployments within the US to prepare the platform for deployment. The F-35’s shortcomings as an air-to-air fighter have already been >well documented. It famously lost in mock aerial combat within visual range (WVR), where its radar stealth is of no advantage, to an F-16 in early 2015, one of the planes the F-35 is supposed to replace as an aerial fighter. 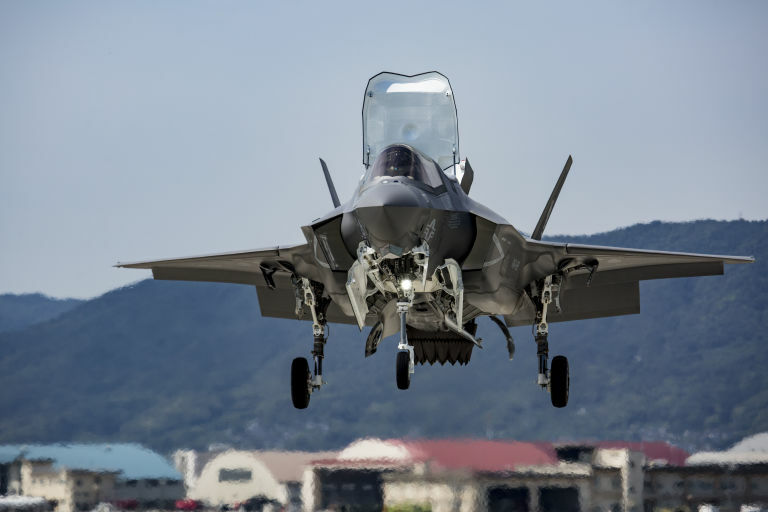 The F-35 lost repeatedly in air-to-air maneuvering despite the fact that the test was rigged in its favor because the F-16 employed was the heavier two-seater version and was further loaded down with heavy, drag-inducing external fuel tanks to hinder its maneuverability. F-35 boosters argue that the plane's low radar signature will keep it out of WVR situations, but the history of air combat is that WVR engagements cannot be avoided altogether. Missile failures, the effects of radar jamming and other hard-to-predict factors tend to force WVR engagements time and again. There are several major reasons F-35s will have extremely limited interdiction usefulness—the Air Force’s and Marine Corps’ declaration of “initial operational capability” notwithstanding. For instance, defense companies in Europe, Russia, China, and even Iran have been hard at work for years developing and producing systems to defeat stealth aircraft. And they have had some success. We saw this clearly in 1999, when a Serbian missile unit shot down an F-117 stealth fighter with an obsolete Soviet-era SA-3 surface-to-air missile (SAM), a system first fielded in 1961. Serbian air defense crews discovered they could detect the stealth aircraft by using their missile battery’s longwave search radar. Then, using spotters and the missiles’ own guidance radars, the Serbian forces were able to track, target, and kill one stealthy F-117. To show that was no fluke, the Serbian SAMs hit and damaged another F-117 so badly it never flew in the Kosovo Air War again. The ability to penetrate heavily defended airspace to destroy fixed targets deep in enemy territory is an often-cited justification for the F-35. Of course, the F-35’s limited range—less than legacy F-16s—means that it is unlikely to be able to perform what the Air Force likes to call “deep strikes” well inside the homeland of large nations such as Russia and China. The F-35 has plenty of shortfalls performing air-to-ground interdiction missions well away from the immediate battlefield, but it is even worse in its other intended air-to-ground role directly in support of engaged troops, close air support (CAS). DOT&E concluded that the F-35 in its current configuration “does not yet demonstrate CAS capabilities equivalent to those of fourth generation aircraft.” This statement is particularly disturbing in light of the Air Force chief’s recent statements that the service intends to renew its efforts to cancel the CAS-combat-proven A-10 in 2021. None of the three F-35 models in the current fleet can use cannons in combat. In fact, none of them are even close to completing their developmental flight tests—much less their operational suitability tests—for airframe safety, accuracy, and target lethality. Even worse, based on preliminary test experience, it appears that the severe inaccuracy of the helmet-mounted gunsight on all three F-35 versions that makes the cannon ineffective in air-to-air combat will also make it ineffective in CAS—and that the helmet’s accuracy problem may be technically inherent and incurable. Aircraft taking off from the confined decks of carriers require a major boost to reach the necessary speed to achieve lift and takeoff, which is accomplished with a catapult set into the flight deck. Before the jets are launched, the pilots increase the engine thrust. To keep the jets from rolling off the front of the ship before launch, they are held down with hold-back bars. The force of the thrust compresses the gear’s strut as it is being held down. When the hold-back bar is released and the jet is launched, the F-35C’s strut is unloaded, causing the nose to bounce up and down, jarring the pilot according to a Navy report that was leaked to Inside Defense in January 2017. It took the crew 55 hours to complete the engine swap, far longer than it takes to perform the same action on a legacy aircraft. The engine on an F/A-18, for instance, can be replaced in 6 to 8 hours. Much has been said since the election about further F-35 purchases and affordability. President Trump questioned the program’s value in a series of tweets before the inauguration, but hopes that the program would be dramatically altered were dashed when he declared he had convinced Lockheed Martin to shave $600 million from the price of the latest batch of F-35s. Lockheed Martin and their partners within the JPO had already stated the price would be lower, largely due to improved efficiencies in manufacturing. On the surface, this seems like a great development for the American taxpayers, but any money “saved” now will end up costing far more in the future because we are buying a bunch of untested prototypes that will require extensive and expensive retrofits later. And this problem will only be compounded if Lockheed Martin and the Joint Program Office get their way and Congress approves a three year “block buy” of 400 F-35s before the program completes the testing and evaluation process. Another time-consuming process involves adding new aircraft to each ALIS standard operating unit. Every time an F-35 is moved from one base to another where ALIS is already up, it must be inducted into that system. It takes 24 hours. Even if an F-35 squadron can get to where it is needed, when it is needed, what good is it if it can’t then fly on missions? This is one of the most enduring problems of the F-35 program. The fleet has had a notoriously poor reliability track record: it failed to achieve many of its interim reliability goals, and continued to do so through 2016. As the program creeps towards the all-important operational test phase, there are real concerns the aircraft will not be able to fly often enough to meet the testing schedule. There are also concerns about how often the jets will be able to fly when called up for combat service. “Availability” measures how often aircraft are on hand to perform at least one assigned mission. The services strive to maintain an 80 percent availability rate for their aircraft for sustained combat operations, as most aircraft achieved, for example, in Operation Desert Storm in the Persian Gulf in 1991. This is the same rate the testing fleet needs in order to meet the IOT&E schedules. So far, the F-35 program has not even been able to meet its interim goal of 60 percent availability. When Lockheed Martin first won the contract 17 years ago, the F-35 was expected to begin operational testing in 2008. Once they failed to meet that, 2017 was supposed to be the big year for the start of the combat testing process. We now know that this process will almost certainly be delayed until 2019…and possibly 2020. A US exercise.... with F22 along Rafale and EF.... that means F22 is useless? It's a joke. from a kind of greek tabloid. "The adversaries or “Red Air” included USAF F-15E Strike Eagles of the 391st FS “Bold Tigers” Mountain Home AFB, ID and T-38A Talons of the 71st Fighter Training Squadron (FTS) “Ironmen” based at JBLE." "While not being specific, it is not difficult to envision a mixed strike package of Rafales and F-35s, a combat air patrol (CAP) of Typhoons and Raptors (or mix and match on any given mission set)." It looks that the Israeli “demonstration of power” during the recent visit of Russian Defense Minister Sergey Shoigu has turned into a total failure. On October 16, Shoigu arrived Israel for meetings with Israeli Defense Minister Avigdor Lieberman and Israeli Prime Minister Benjamin Netanyahu. The sides were reportedly set to discuss the situation in the region, including Syria, the fight against terrorism as well as military and technical cooperation. At the same day, the Israeli Defense Forces (IDF) claimed that its warplanes targeted a anti-aircraft battery of the Syrian Air Defense Forces that had launched a missile at Israeli aircraft flying over Lebanon. “The army targeted the battery with four bombs and, according to the IDF, the battery was damaged to the extent it was no longer operational. The army said the battery targeted was the same that fired at Israeli jets last March, prompting Israel make use of its Arrow anti-missile system for the first time,” the Israeli newspaper Haaretz reported on the issue. The Syrian military confirmed the Israeli strikes and said that they caused “material damage.” It’s interesting to note that, according to the Syrian Defense Ministry statement, Israeli warplanes violated Syria’s airspace on the border with Lebanon in Baalbek area. The incident took place at 8:51 am local time. Could the Israeli Air Force intentionally provoke the reaction from the Syrian military in order to justify the strike on the Syrian air defense battery? Furthermore, some pro-Israeli experts and media activists clearly linked the incident with the visit of the Russian defense minister to Tel Aviv saying that it was a nice demonstration of power to the Russian-Iranian-Syrian alliance. However, somesing went wrong. According to the available information, the Syrian Defense Forces used a S-200 missile against the Israeli warplane. This Soviet-made missile is the most advanced long range anti-aircraft system opearated by the Syrian military. Even in this case, it’s old-fashioned in terms of the modern warfare. Despite this, the Syrian Defense Ministry said in its statement that government forces responded to the violation of the airspace and “directly hit one of the jets, forcing [Israeli aircraft] to retreat.” This statement contradicts to the Israeli claim that “no hit” was confirmed. Few hours after the missile incident with Syria, the Israeli media reported that the Israeli Air Force’s F-35 stealth multirole fighter went unserviceable as a result of an alleged bird collision during a training flight. The incident allegedly took place “two weeks ago” but was publicly reported only on October 16. However, Israeli sources were not able to show a photo of the F-35 warplane after the “bird collision”. Furthermore, it is not clear if the F-35 can become operational again because its stealth coating was damaged. 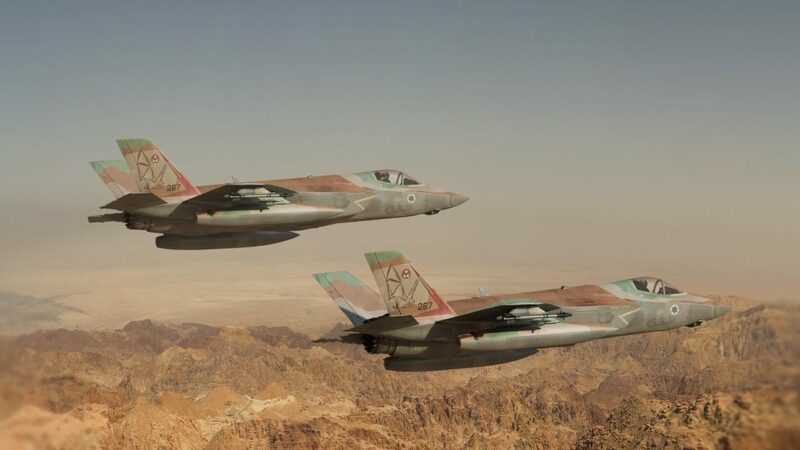 Thus, according to the Israeli version, the warplane reportedly became no longer operation after a bird collision despite the fact that the F-35 earlier passed the bird strike sertification with great results (official info here). The F-35 is the the world’s most expensive warplane. The price of developing the F-35 is now about $406.5 billion. Israel is actively buying the world’s self-proclaimed most advanced fighter paying about $100 million for each plane. This is a very scary report even if be believe what Israel has stated. A bird hit and a plane is gone with $150million in junk. No F-35 has been used in combat yet and has only been used operationally by the US (IOC). S-200s failed to hit a single plane during Operation Grand Canyon in 1986 and they haven't been updated since. The only theoretical possibility of an S-200 hitting an F-35 is if it crash landed on one on a runway. As all the first 100 F35 are officially unable to do anything else than basic training, it's sure Israel never sent one of these overrated planes over a battlefield, even if the SAM defending this area are 30 years old and never upgraded. Sure. Sorry for that fake news. Given the accumulated delays and the old and new technical problems that appear at each block, we are not ready to see one of these jewels hired over the battlefield. In fact the F35 is the first peace only fighter. The first of its class. Whaooo ! astonishing. As the F22, a 5th gen fighter, is a true war machine, the F35 can be called "5.5th gen fighter" because first of this totally new class. 5.5gen is the "peace only fighter generation" and F35 is the first of this new class. Congrats LM ! it is too strong. Bahrein buy 16 x F16V for... 3.8 $billion. ie 237 $million each !! !